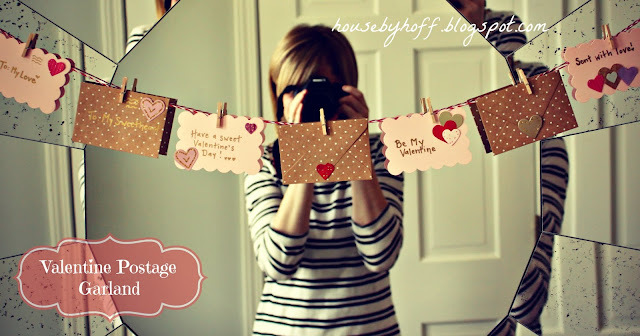 I’m reposting one of my favorite Valentine crafts from last year, my Valentine Postage Garland! It all started when I fell in love with the package of little polka dot envelopes & pink scalloped note cards at Meijer (right). I admired them, studied them, (probably rubbed them on my cheek), and then put them back on the shelf; unsure of how I could use them. 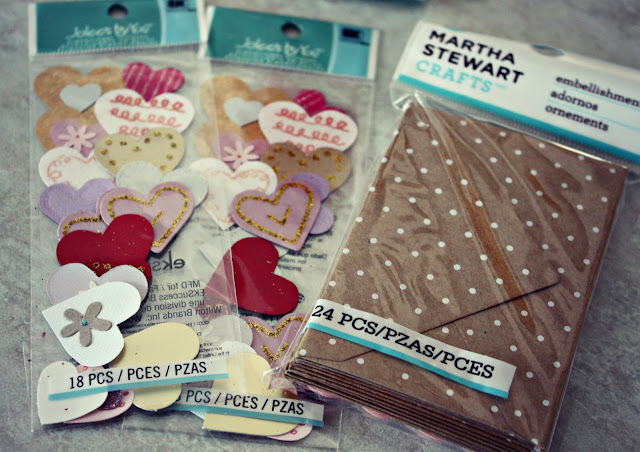 I went back to Meijer the very next day and snatched up the envelopes & note cards and cute little heart cutouts. I found the baker’s twine in the dollar section at Target, and I used a gold paint marker to write messages on each piece. This postage garland is so cute and only took me about thirty minutes (or less) to assemble! Make sure to come back tomorrow for more Valentine fun! I love your garland! 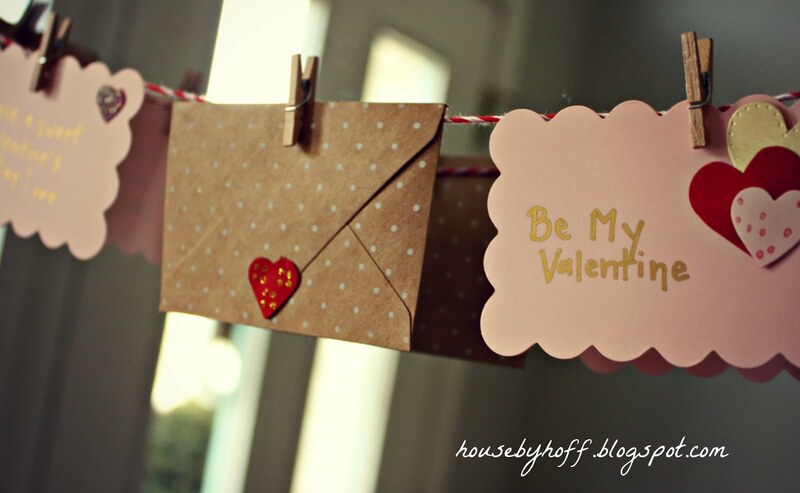 And those Martha Stewart envelopes are so cute! 🙂 Happy weekend! The envelopes are what sold me! 🙂 Thanks, Ashley! I love the difference of your banner. What a wonderful idea. Sweet and Cute. Thanks for sharing.